Though there are certainly a wide range of website valuation methods (Discounted Cash Flow Analysis, Asset Value, Multiple of Revenue, etc.) the most widely accepted method in the website acquisition space has long been a valuation method based on a multiple of earnings. How do you define earnings? Most website valuations are based on an expression of profitability known as Seller’s Discretionary Earnings (SDE). SDE is effectively the net profit of the business (i.e. the difference between Revenue and Expenses) over a specified period of time, typically the trailing twelve months (TTM), and excluding income taxes, one-time expenses, and owner’s compensation. These aforementioned extraneous expenditures are typically itemized and added back to the net income of the business in the profit and loss statement. Step 1 Calculate Net Profit: To start building your website valuation, calculate the net profit of your business on an SDE basis by filling out this profit and loss template. Have an eCommerce business? Try this eCommerce profit and loss template. If you need help filling out your profit and loss statement, check out this article. How to calculate website value? Once you have the Net Profit (or Cash Flow) of your business, you can start to formulate a website valuation, which is expressed as a multiple of your annual net profit. Annual Net Profit (Cash Flow) x Multiple (Years) = Website ValueThe multiple signifies the number of years of net profit that the business is worth. You may have heard a website investor say something like, “that website is worth three years.” What they are really saying is, “that website is worth three times the annual net profit.” Website buyers often view the multiple as the amount of time they can expect to pass after acquiring the business (and assuming income remains constant), before they recoup their initial investment. In other words, the buyer asks “how many years of annual cash flow would I pay for this business?” A 2x multiple would mean the buyer expects that it will take two years to recoup the initial investment, a 3x multiple means they expect it will take three years, and so on. What determines the website valuation multiple? The single biggest driver of multiple is risk. Generally speaking, risk and multiple are inverse. That is, the less risky the investment, the higher the multiple. The more risky the investment, the lower the multiple. Risk is perceived differently by every person, and because of this, you will always end up with mild variations in web valuation from one professional website appraiser to another. An additional conclusion we can draw from the above graph is that as Net Profit increases, so too does the website valuation multiple. To illustrate this point, consider the 2015 net income of four publicly traded companies as compared to FightState.com, an AdSense based content website that sold for $300,000 (3.9x) on Flippa in October 2015. To analyze the value of a publicly traded company, we can look at the P/E Ratio, a valuation metric that measures the current price of a share of a company’s stock divided by its current earnings per share (EPS) on a trailing twelve month (TTM) basis. Since the P/E Ratio measures the price as the multiple of earnings on a TTM basis, it is similar enough to compare to the multiple of net income methodology we have been discussing. When we compare the respective P/E Ratios and net incomes of each business, we can see that as the size of the company increases in terms of net income, so too does the multiple. There are other variables involved, but all else being equal, bigger businesses are typically perceived to be stronger investments (i.e. less risk), and that’s why investors are usually willing to pay more for them. How do growth opportunities come into play? Because they can influence the rate of return, growth opportunities are a crucial consideration when performing website valuations. For instance, consider a business that earns $100,000 net income in its first year of operations and promptly sells at a 2x multiple before doubling its net income the following year. The result is that the buyer breaks even during the first year of ownership, despite paying a “2x multiple.” You could almost say the buyer paid a 1x multiple for the business, as they recovered 100% of the entire $200,000 investment during the first year of ownership, during which, the website also doubled in value. Clearly, in order to avoid undervaluing a website, it is important that growth opportunities be considered. Of course, just because a business is growing now or has ample growth opportunities on the horizon, does not mean it is guaranteed to grow. Because of this uncertainty, growth opportunities need to be valued on a scale. The greater the opportunities for growth and the greater the likelihood the opportunities will actually be realized, the more the scale should be tipped towards a higher website valuation multiple, and vice versa. Lastly, it’s worth mentioning that investors in this industry value results, “potential” is rarely enough on its own to warrant a sizable valuation. Does business model influence website valuation? In its 2015 Website Buyers Report, due diligence firm Centurica researched and analyzed public website sales data to determine the average multiple paid for websites by business model from 2014 to 2015. Although this data may be slightly skewed (as it was based on Asking Price & not necessarily Selling Price), the average website valuation multiple was 2.9x for Content, 2.8x for SaaS, 2.72x for Transactional, 2.7x for eCommerce, and 2.2x for Services. We know that size influences risk, we know that growth opportunities influence risk, and we know that business model influences risk, but what other factors influence risk? And, how do we know how much risk warrants a 1.5x multiple website valuation vs a 3x multiple website valuation? The truth is, there are an almost infinite number of variables that influence risk. Luckily, it’s not necessary to evaluate every single factor to arrive at a logical valuation. Instead, all that is required is a structured diagnostic appraisal of the business, its environment, and its growth opportunities. This can be accomplished through a combination of both qualitative and quantitative analysis and reasoning. We can break down this analysis into five key areas of website valuation: Business Overview, Financials, Traffic & Users, Operations, and Vertical. Within each category we want to evaluate growth opportunities, sustainability, and strength. What is the primary business model? What was the site’s total revenue over the trailing twelve months? What was the site’s total net profit over the trailing twelve months? How many total users did the site have over the trailing twelve months? Any notable assets attached to the sale (i.e. social media accounts, IP, etc.)? What is the YoY or MoM net profit growth rate? Has the rate increased, decreased, or flattened since the previous period? How is revenue trending over the previous 3/mo to 1/yr? How is net profit trending over the previous 3/mo to 1/yr? How are expenses trending over the previous 3/mo to 1/yr? Are sales expected to grow, decline, or flatten over the next 3/mo to 1/yr? How stable is traffic overall? What are the main traffic sources? Is there a subscriber/customer list? If so, what is the current growth rate? What is the current customer churn rate? What is the lifetime value of a customer/subscriber? How have users trended over the previous 3/mo to 1/yr? How have pageviews trended over the previous 3/mo to 1/yr? How would you classify user engagement (low, moderate, or high)? How difficult will it be to transfer each traffic source to a new owner? Is traffic expected to grow, decline, or flatten over the next 3/mo to 1/yr? Categorize the transferability of operations (easy, normal, difficult)? Are there any employees or freelancers, and what are their responsibilities? Categorize the strength of the current supplier relationship (weak, medium, strong)? Is it necessary to keep inventory in a particular location to retain current profitability? How many hours a week are required for the owner to operate the business currently? Has this vertical been historically volatile? How would you characterize the barriers to entry (nonexistent, moderate, heavy)? How saturated is this vertical (Unsaturated, Moderately Saturated, Very Saturated)? How is the business performing relative to competition over 3 months, 6 months, a year? This list is by no means exhaustive, and the process is admittedly subjective and up to a fair bit of interpretation. You may discover another format that does a better job expressing the website value of your particular business, which is perfectly fine. Simply use this as a foundation, and expand your valuation prompts from there. Step 2 Determine Multiple: Use the following website valuation sheet to analyze your business and arrive at a multiple. Hint: If you get stuck, try moving to the next step and working backwards by valuing comparable websites that have already sold, and then compare these businesses to your own. Where can I find comparable website sales data? Historical sales data can often be a great source of insight when trying to value a website, as this data can help establish realistic price expectations and benchmarks. 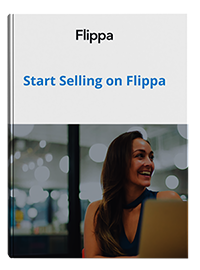 Flippa has the largest active database of website sales records. Some of this data is available to the public via the Just Sold page. Depending on the results you may need to either expand or shrink respective ranges in order to find a suitable match. The overall objective is to hone in on 1-3 similar website sales that you can use as a guidepost for determining the value of your website. Step 3 Assess Historical Website Sales: Find 1-3 historically similar website sales. One major challenge to assessing historical sales is simply a lack of available industry data. Even on Flippa, which is unquestionably the largest platform for buying and selling websites, many users choose privatize website sales data. Further challenges arise when we consider website brokerage sales, which currently make up the broad majority of upper-five, six, seven, and eight figure deals, but for which publicly available data is extremely limited. This is yet another reason it is highly recommended that you consult with a broker prior to a sale, as legitimate brokerages such as Deal Flow will have access to extensive private sales data. If your site is making more than $1,000/mo profit consulting with a qualified website broker to get a no strings attached professional website valuation is almost always a good idea. Website Brokers specialize in analyzing and evaluating web properties and often have many years of professional experience. Additionally, business owners sometimes let passion cloud their value judgement, and because of that, if you are valuing your own site, it is usually recommended that you get a second (and sometimes even a third & fourth) opinion to ensure your value analysis is in the same realm as industry experts. Website Brokers are generally regarded as the professionals best qualified to provide website valuations. Led by Director of Brokerage, Jamie Toyne, Flippa’s high-end website brokerage Deal Flow is a leader in providing professional valuations. The high-end brokerage valuation methodology is more complex than the fundamental techniques being mentioned in this article. For example, our Deal Flow Website Brokers analyze over 200 variables and use advanced business modeling techniques while performing website valuations. Step 4 Apply for a Free Valuation: Get a free professional website valuation from an experienced Website Broker here. While legitimate website brokers have the necessary knowledge and experience to provide professional website valuation services, it is important to remember that they have an incentive to provide inflated valuations. Brokers provide free website appraisals as a form of lead generation. Oftentimes dodgy brokers will offer up unrealistic valuations, whether or not it is realistic to sell, in order to lock sellers into unnecessarily long representation agreements. Numerous sites provide automated website valuations. In addition to missing the human element that lends credibility to professional website valuations, most automated tools neglect critical data including financials, traffic, etc. in their valuations. The bottom line is that these sites are terribly flawed and inaccurate. To highlight this point, consider the chart below which compares four automated website valuations produced by popular automated valuation provider SitePrice.org, with the actual Flippa sales price below. SitePrice.org valuations proved very innacurate, with each accounting for just 4% – 7% of the actual selling price. Now that you have a professional website valuation, you may want to start planning an exit. Rather than a rushed sale of your business and its assets, exit planning is based on the idea that an exit should be meticulously planned and executed at the optimal time, so as to encourage the highest possible sales price. The graphs above assume that both businesses were put up for sale in March 2016. Despite the business on the left having a Cash Flow of $67,000+ (TTM), the owner’s decision to shut the business down in October will likely result in a selling price of less than 0.5x, meaning this missed opportunity could end up costing the owner over $100,000 via a lower sales price. Conversely, the business on the right is well-positioned for sale, with strong, consistent, and stable financial performance over the trailing twelve months. 1. How much is my website worth? 2. What is my target selling price? 3. How can I achieve my target price? Because internet businesses can change so rapidly, buyers typically place a particularly strong emphasis on recent performance. If your revenue is on the decline or your business is seasonal and sales have been flat, now is probably not the optimal time to sell. Patience is crucial. Determine what you need to do to increase your website value and achieve your target selling price, and then put things into action to ensure you can actually achieve that target. Of course, some people simply find themselves in a position where they have no choice at all but to sell without a well thought out exit plan, and the consequences can be serious. As such, if you are fortunate enough to have the opportunity to plan an exit in advance, then it is highly recommended you consult with a qualified website broker and always keep an up to date exit plan in your back pocket. Step 5 Develop an Exit Plan: If you have a website earning more than $1,000/mo profit and you would like to set up a free exit planning consultation, please get in touch. If you have finished this guide and completed all of the steps above, you should be well prepared to exit your business with clear price expectations and a strategy to ensure you get the maximum sale value possible. Don’t be discouraged if you’re still feeling a bit unsure, just get started. The more practice you have evaluating different websites the more effectively you’ll be able to perform website valuations. I hope this guide has succeeded in empowering you to uncover your website’s value and achieve a satisfactory target selling price. Let me know your thoughts in the comments below! If you plan to buy or sell a website, it is important to understand the process of transferring ownership of a domain and migrating a website to a new hosting account. In this tutorial, I’ll take you through both processes, step by step, so that you can be prepared when the time comes. Transfer the domain to another registrar. Keep the domain on the same registrar, but change the account. What option you choose will come down to your individual circumstances. For example, if you prefer using GoDaddy to register all of your domains, and you bought a website with a domain registered elsewhere, you would likely elect to transfer the domain to GoDaddy (i.e option 1). On the other hand, most newly registered domains have a 60 day registrar transfer lock. So, if you bought a website with a newly registered domain, you would likely keep the domain at the same registrar and simply change the account (i.e option 2). In this example, I’ll explain how to perform a registrar transfer from GoDaddy to HostGator. Before you begin, it is strongly advised that you create a backup of your website. The party making the transfer must first unlock the domain for transfer in their GoDaddy account. In the Visit My Account tab select Domains and click Manage. Click on the domain you want to transfer. Under the Settings tab find the Lock tab, click Manage and check Off. Your domain should now be unlocked. The party making the transfer must request an EPP/Authorization Code. This will be provided to the receiving party, and it let’s the releasing registrar know that the party making the transfer has authorized this action. Using the same Settings tab locate the Authorization Code heading and click email my code. Provide this code to the receiving party. This step should be completed by the receiving party. Visit HostGator’s domain transfer page & initiate the transfer by entering the domain name. Checkout and enter the EPP/authorization code received from GoDaddy. This step should be completed by the party transferring the domain out of their account. Log back into your GoDaddy account and navigate to the domains page. Select the appropriate domain and click Accept. All steps should now be complete, and GoDaddy should email you confirmation that the transfer has been done. Note, it can take up to 10 days for the transfer to process and hit the receiving account. For further information, please see the following GoDaddy support article. In this example, I’ll explain how to make an account change by showing you how to transfer a domain from one GoDaddy account to another GoDaddy account. The party planning to transfer the domain out of their account should request the receiving party’s GoDaddy customer number and email address. If you’re using a different hosting provider check to see if they offer a WordPress backup feature. Log into your GoDaddy account and navigate to Domains -> All Domains. Find the domain that you intend to transfer, click the gear icon and click Domain Settings. At the bottom of the page you’ll see a few options, select transfer to another GoDaddy account. Enter the receiving party’s GoDaddy email address and customer number in the appropriate fields. The transferring party has now completed all steps. To complete the change the receiving party will need to accept the domain into their account. In this example, we’ll cover two methods of transferring a WordPress website to a new hosting account. When I get a website ready to sell I create a folder on my desktop for the site. Inside the folder are several other folders which include the following: WP Site Files, WP Database, Photoshop/Images, License Keys and Other Misc. Files. Using a free FTP client like Filezilla or my hosting providers cPanel, I’ll download all of the WordPress site files and put them in a folder. I upload all of these files into a Google Drive folder and share it with the new owner after the sale. In this example I’ll explain how to migrate a WordPress site from a GoDaddy hosting account to a HostGator hosting account using a free FTP client, Filezilla, to access the WordPress site files. You can download Filezilla here. The first thing that needs to be done is for the receiving party to install a fresh version of WordPress on their HostGator account. In your HostGator hosting dashboard navigate to Get started with WordPress today. Select the domain and leave the path blank. Enter the admin email and fill in the remaining fields. Copy your password and save it. In your HostGator dashboard navigate to Files & Folders -> FTP Accounts. Click Create a new FTP account. Enter “/“ in the Directory/Path field. Your site should now display as a stock WordPress install usually with HostGator coming soon page. Login to your HostGator server via Filezilla using the FTP login credentials you created earlier. Find the folder titled public_html then find then locate the wp-config.php file, right click and hit view/edit. Create a folder on your desktop titled “WordPress Site Files”. Login into your current GoDaddy server to find the website that you’re going to migrate. Select and open WP Site Files folder in the right box on the FileZilla interface and hit Command A to select all of the files, then right click and Download. All of the WordPress site files will be downloaded/copied to your folder. While the files are downloading head to the phpMyAdmin panel in your GoDaddy account and locate your WordPress database associated with the site. Locate the database and check all of the tables. Once all of the tables are checked click the dropdown menu With selected: -> Export. I usually use the “quick” Export Settings and the Format as SQL. Drag and drop all of the original site files you downloaded earlier from the WP Site Files into the new root folder for the WordPress site, (the new HostGator account). You’ll be prompted with a window that asks if you want to overwrite. Check Overwrite and Always use this method. Step 5: Navigate to the phpMyAdmin in the new HostGator account. Locate the database for the fresh WordPress install, check all boxes again but this time select Drop. Next, navigate to Import and click Choose file, find the .sql database file for the original site you downloaded earlier and click Go. The last step involves changing a little bit of code. After all of your site files have been uploaded to the new server, open Filezilla and open the root folder for the site. Locate the wp-config.php file, right click and hit view/edit. Open the text file you saved in Step 1 and replace the DB_NAME, DB_USER and DB_PASSWORD. Now your new database should be properly connected with the WordPress site files. Refresh your permalinks and you should be all set! Method 2 – Using a WordPress Backup Plugin. In this example I’ll explain how to transfer a WordPress website using a WordPress backup plugin. This is another simple method which works very well with WordPress backups that are under 512mb. This is always my second method if I can not use method 1. In this example, I’ll use the All in One WP plugin, but there are many others. Login to the WordPress site that you are migrating and install the free plugin All-In-One WP Migration. In your WordPress dashboard navigate to All-In-One WP Migration -> Export. Click Export To -> File. Once finished, download the file either via your browser or through FTP. After transferring the domain to the new owners registrar and updating the nameservers, install a fresh version of WordPress on the domain. The site will be down during this brief period and should only show a default WordPress install as the theme. Login and install the All-In-One WP Migration plugin again. Navigate to Import -> Import from ->File. Select the backup file that you downloaded and start the import. You’ll be prompted to overwrite the current database, click proceed. Refresh the permalinks and you’re all set! Once the migration is complete login to the WordPress site and navigate to Settings -> Permalinks -> Save Settings. This refreshes the permalinks. Navigate to the DNS settings for the domain, make sure that the nameservers are pointing to the new hosting account. If the site was migrating to the same hosting company the nameservers will likely remain the same but you should also check the DNS zone file to make sure that it points to the proper IP. See image below. I’ll usually remove the wp-config.php file from my hosting account to make sure the site is functioning properly. You can now delete the site files and database from your hosting account. Migrating a site can sometimes be a frustrating process and one thing that helped me when I was learning was setting up a practice scenario, like a sandbox. I built a demo WordPress site and setup three separate hosting accounts to practice migrating between the three. I highly recommend doing this because it will sharpen your migration skills so that when the time comes for you to migrate a real website you can do it quickly and with confidence. If you need extra help, I put together an in­-depth seven­-hour­-long Flippa training course. The course details my process of building websites to sell on Flippa, covering everything from the initial domain setup, to the entire development phase, to the Flippa sale and website transfer/migration process. I’m also available to migrate WordPress sites for you depending on the situation, just get in touch with me here – transferring ownership of a WordPress website on Flippa. When Neal Verma and a few friends started the search engine iRazoo in Houston in 2007, they had high hopes for its future, but they never could have expected that their journey would end with a high-value exit on Deal Flow. iRazoo is a unique search engine that allows users to earn points by watching videos, taking surveys, and searching the web. These points can then be used to redeem gift cards from most of the world’s major shopping brands including Target, Amazon, and WalMart. The algorithms behind iRazoo’s search functionality are unique and feature a patented search methodology reliant on user votes to rank the search results. After inception, iRazoo quickly gained fame, and received coverage in the Houston Chronicle and CNN, among other noteworthy news outlets. But, far removed from the Silicon Valley tech community, iRazoo failed to attract the attention of VC investors. Mr. Verma found himself at a crossroads, but rather than give up and let the company collapse, he chose to bootstrap iRazoo and continue pushing forward. That decision paid off, and as of today, iRazoo is one of the largest “points-earning sites” on the internet. Despite being bootstrapped, the company has been profitable and it has onboarded millions of visitors throughout the years. Mr. Verma believes the success of the company hinged on the small, but tight team who stuck together from the very beginning. Even though the odds were stacked against them, they persevered and built iRazoo into what it is today. Of course, after years of hard work, the decision to sell was not easy. “For us, iRazoo was almost like a child. We nurtured it, helped it grow, and it was a tough choice to let the business go.” However, running one of the largest property management companies meant that Mr. Verma had less time to spend on the iRazoo business, and he and his partners decided it would be best to exit. Paired with one of Deal Flow’s leading website brokers, Griffin Sinn, the sale of the business got off to a quick start with dozens of qualified inquiries. The inquiries soon turned to offers, and the interest in acquiring iRazoo was so strong that the business ultimately sold well above the asking price. Today we chat with experienced web entrepreneur, Mark Alford, who acquired PetTravelCenter.com for $31,500 on Flippa. Mark shares fascinating insights into his online career, which has included owning more than 1,000 websites and selling more than 50 businesses – don’t miss it! My undergraduate educational interests ultimately led me down the path of engineering. After graduating with honors and becoming more familiar with the business world, I learned there were lots of ways to make money outside of the traditional corporate agenda. I started a few websites as side projects, and through self-taught SEO and some sweat equity they exploded. Within a few years I had grown a portfolio of online enterprises and was regularly buying and selling digital assets. When did you begin building/buying web businesses? My digital career began in 2004. I’ve owned more than 1,000 websites, founded over 25 online enterprises and bought and sold more than 50 different companies. It’s been a busy decade to say the least! My portfolio and experience covers a swath of industries and revenue models. Including ecommerce, lead gen, advertising and non-profits with a full range of size and scope. Any special skills that you bring to the table? I think my engineering background provides me with not just the technical skills to excel in the industry but also I think it desensitizes me from the emotional entanglements of an endeavor. The digital landscape is a dynamic category, one that is surprisingly less glamorous than many believe. Consequently, looking back, I have a lot of gratitude for the pragmatism (slow and steady growth vs. high risk fame and fortune) that has generally helped me evade bad decisions and kept my business growing over the years. What brought you to Flippa, and why do you continue to use it? I’ve been using Flippa for over 5 years. Other marketplaces often suffer from dysfunctional transaction processes. Interactions and communication between buyer and seller on those platforms is notoriously cumbersome and muddied. I’ve always liked Flippa because it has a reliable buy and sell process. I can expect a similar experience with buyers and sellers alike, and repeatedly. All in all, my experience on Flippa has been good. Not only have the staff at Flippa served as a great resource, but the Flippa members I have engaged with have also benefited my profession. What kind of opportunities are you on the hunt for? Due to my stringent acquisition modeling, I tend to pursue a very narrow range of opportunities. They are commonly characterized by deep industry marketing pillars, robust balance sheets and industry longevity. I avoid any asset that isn’t well seasoned. You acquired PetTravelCenter.com on Flippa for $31,500, what is the site about? PetTravelCenter.com is a 10+ year old blog which emphasizes intuitive travel tips for pet owners. It also has elements ecommerce and lead gen activity. Over the years it has served thousands upon thousands of customers. Most importantly, the seller invested his heart and soul into the website and it shows. From a business perspective, why did you ultimately decide to place a bid? I was alerted to the listing because of the high amount of bidding activity. Upon review, I found the offering of interest because the website had a reliable seller, verifiable financials, and a strong foundation. I was particularly impressed with the investments the Seller had made in the business while he owned it. Additionally, it was immediately apparent that the business synergized well with other websites I have in my portfolio. Have you faced any major challenges or had any major achievements since you acquired the business? I think one of the greatest challenges was dealing with the custom programmed software the site was built on. This is a common problem with older sites and we’ve encountered it before. There are always SEO implications with migrating a website to a different platform and a myriad of pitfalls to avoid as well. On the other hand, working with the seller has been a true pleasure. Throughout the transition of the business he provided invaluable historical details and some very insightful strategies for the business going forward. The site has performed in accordance with what the seller represented. He was very transparent and a pleasure to work with. What are your plans for PetTravelCenter.com moving forward? We have some great plans for the site! First and foremost, we plan to migrate the website to an updated platform, rebrand and relaunch the business. New UI, new revenue channels, new marketing channels and many other improvements are coming. Long term, we have plans to engage in an impactful b2b growth strategy. A commonly overlooked growth path for an enterprise involves synergies with other businesses in your space. We believe the business has a lot of capacity for vertical growth and there is definitely unexploited potential in that regard. Longtime visitors of the site can expect a much improved experience. One that includes a significantly improved website with better content, larger product selection, enhanced search functionality, and vastly larger customer resources. We seek to be the internet’s #1 resource for pet travel products and information. With so many people traveling with their pets these days, we expect to see this industry growing over the years and look forward to a very bright future serving our customers, organizations, businesses and furry friends alike! Any advice for other web entrepreneurs looking buy websites on Flippa? The interesting thing about due diligence, is that the vast majority of sellers don’t know what’s needed to close a sale. To make matters worse, many buyers don’t know how to evaluate a DD packet much less request the appropriate items for an evaluation. Combine these factors and you’ve got a classic case of the blind leading the blind. I truly do believe that 9 out of 10 internet businesses for sale on the open market are legitimately represented. Many business brokers like to represent the industry as a ‘wild west’ category using ‘buyer beware’ scare tactics that are intended to provide the broker with nothing more than job security. My best due diligence tip would have to be: call the seller. You can resolve so many questions quickly and easily with a phone call. As the new Customer Support Representative at Flippa, I have come to realize that it can be a daunting marketplace for beginners. Having no prior experience working in the tech industry I myself was a confused user during my first week. If there was any true indication to my beginner level it was when I had to ask a coworker to clarify the difference between a domain and a website. Complete and utter amateur. I have since encountered a lot of common issues coming through our mailbox, even though our developers are constantly updating and improving the platform. I now have a comprehensible understanding of how the marketplace works; keep in mind, I had my trusty colleagues to bombard with questions on a daily basis (or every 5 minutes). Even though I am still learning every day and am technically still a beginner, we thought it would be beneficial to all of you newcomers to welcome you with a beginners guide for reference. And who better to write a beginners guide than the new girl? So here we go. This may seem too obvious and unimportant to be taken seriously but it is worth mentioning: upon registering with Flippa, please ensure your email, phone number and personal information are clear, correct and current. This information will be viewed by administration and potential buyers/sellers, so make sure it is up to date. Verifying this information is correct at the start can save you time when you contact customer support at a later date. Also please ensure your PayPal email is accurate for payment purposes, if applicable. This is very important. Evidently users skip this step when joining the marketplace and, admittedly, so did I. Whether you are selling a domain, website or app, or are in the market to purchase one of the three, it is important to grow accustomed to the types of listings that exist. Familiarize yourself with payment methods, fees, the newsletter, the blog, promotional upgrades, FAQ etc. Before jumping into transferring assets of any kind make sure you are familiar with how transactions are conducted on Flippa. Read through our Terms and Conditions and make sure you agree to them prior to agreeing to buy or sell. Learn what a Reserve Price is so you don’t end up selling your listing for a price you are unhappy with. Look at the advantages of our payment methods available (Flippa Escrow, Escrow.com and Paypal) and determine which method(s) suits you best. If selling, you are encouraged to visit other listings and auctions similar to your asset and examine what information is important to display and how to best relay that to potential buyers. Take your time in creating a listing and edit The Sellers Notes section carefully as you will not be able to change this once the listing is live. Be prepared to back-up any traffic & revenue claims you make associated with your listing. The world of online assets is a very broad and fast paced one so before jumping right in or even dipping your toes in, conduct the adequate research first. It is easy to become familiar with the online marketplace and should not be a timely process for anybody remotely tech savvy. Judging by the problems a lot of new participants experience, examining how the market works and how business is conducted on Flippa before bidding/listing is highly recommended. Below I have compiled a list of the available listing options Flippa provides. The Seller can display preferred information in the auction’s description. Once you pay the initial $9, if your listing does not sell you can re-list it once for free; subsequent relists cost $5. Rest assured that you can always update how your asset is listed on Flippa, whether continuing its auction cycle or bringing it over to a non-auction (classified) listing. Non-auction classified listings do not display any information about the asset, like an auction does. Classified listings are free of charge which is always a bonus and offers low maintenance for the Seller; but only opt for this if you are willing to be patient. First determine if your website is a Starter Site or an Established Site. If listed incorrectly, the seller will have to cancel the existing auction and re-list correctly which is obviously not ideal or time efficient. A Starter Site can be defined on Flippa as a newly-created website under 3 months old. You will not be able to claim revenue on a starter site. If your Starter Site does have significant traffic or revenue it may be listed as an Established Site under certain circumstances. An Established Site is defined as 3 months or older so traffic and revenue numbers are very important to display to potential buyers. First determine if the website is an Established Site or a Starter Site. Setting up a classified listing is a much quicker and easier process as opposed to an auction. Auctions are a lot more time-consuming and fast paced. Classified listings are easier to manage with a ‘set it and forget it’ kind of method whereas auctions offer a much more hands-on method. Similar to a domain auction, sellers can display more crucial information to potential buyers like Google Analytics, AdSense earnings and profit claims. In the next installment of the Beginners Guide I will be delving deeper into the world of the online marketplace. This is an ongoing and interactive Beginners Guide, so you are encouraged to get involved and email [email protected] with any problems/queries you’re experiencing or suggestions for material to be featured in the coming weeks. Maybe something you had great difficulty understanding or overcoming when you first joined Flippa, or any advice you would personally offer to new participants. Flippa offers such an extravagant and vast platform to facilitate buyers and sellers like no other. The marketplace is current, relevant, opportunistic and ever-expanding so become familiar with how it works to ensure you’re knowledgeable and confident in navigating it. The possibilities are endless. Got it? Head on to our Beginner’s Guide Part II. Ready to start bidding? Head to the Flippa Marketplace and check out our Editor’s Choice listings. Any more enquiries, reach out to us here. Today we had the opportunity to sit down with Samron Jude, the web entrepreneur who acquired online content writing marketplace DotWriter.com on Flippa for $62,500. Read this interview to find out the reasons behind the purchase, Samron’s future plans for the site, and a whole lot more! How did you get into web entrepreneurship? I’ve been a web entrepreneur for over 7 years. After receiving my Bachelors in Mass Media, I later went on to work in a few digital advertising companies before co-founding Mediastinct.com – an ad technology company – which owns a portfolio of over 300+ premium domain names and products as well as a local search agency SEMP. When did you begin buying websites on Flippa, and what is your website acquisition strategy? I started using Flippa in 2013. As Mediastinct is always on the lookout for new business opportunities, Flippa has been great in helping us find and acquire web businesses which slot in well with our existing online portfolio. Specifically, we focus on acquiring websites with a strong foundation that can be enhanced via organic growth and media buying. DotWriter.com is a premium content writing marketplace with over 7,000 registered users. Some users produce and submit content to the marketplace, while others buy articles from that same pool of content or request custom articles as per their content needs. The company makes money by charging a 20% commission on each article, as well as through premium managed writing services. What ultimately led you to place a bid? From the get go it was clear that Dot Writer had a well-planned scalable business model. In that same respect, we felt the site would complement the growth of Mediastinct. In fact, my Mediastinct business partners and I had already considered building a content writing marketplace on our own when we came across the listing on Flippa. We knew that buying the site as an established business would save us a lot of time and development resources, so we made a bid. Any big changes planned for DotWriter.com moving forward? Above all else, we truly believe that a major reason DotWriter has been successful has been the quality of the content produced by writers using the platform. Because we already think this is a winning business model, we intend to leave it relatively unchanged. However, we will be unveiling several new creative features, some of which have already received positive feedback during initial testing. These new features will focus on safeguarding the interests of both our writers and buyers. Any tips other web entrepreneurs should consider when buying websites on Flippa? I would say consistency. You can definitely find the right kind of business for yourself according to your choice of interest and criteria, but you won’t find anything if you don’t look. Setting up saved searches as well as regularly browsing the marketplace is a good place to start. I also prefer Editors’ Choice listings and listings in the Most Active section as both of these areas typically lead to a lot of high-quality offerings.